“We would like to apologise unreservedly to Wolverhampton Wanderers and their supporters for the offensive Tweet that appeared on the club’s Official Twitter Page – @WFCOfficial – last night. Our Official account was hacked at 22:36 last night and a derogative and frankly disgusting Tweet was published. As soon as the club’s Communications Team, who were at Molineux for the fixture, were made aware of the Tweet, it was deleted and an apology issued. 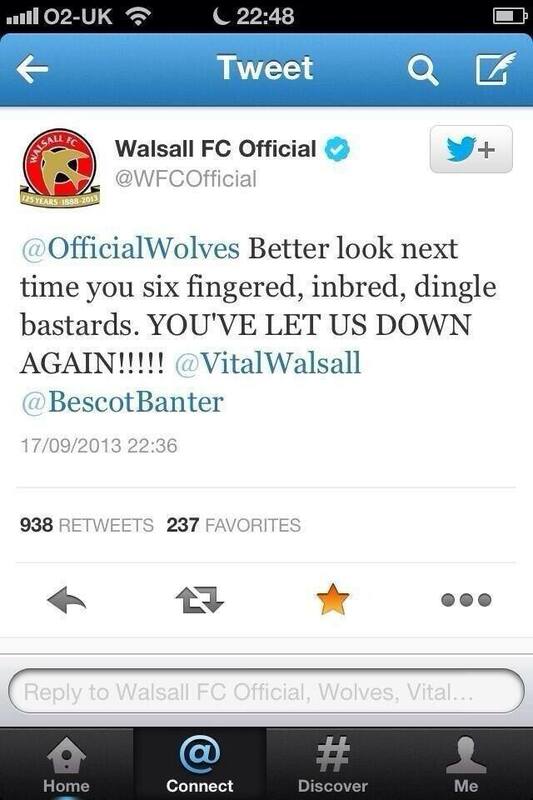 Walsall Football Club are taking this matter very, very seriously. A full investigation will be launched. The event highlights just how important it is to ensure the security of all Social Media accounts are regularly maintained and checked. With so many different staff and departments increasingly wanting access to club accounts, Social Media managers need to either have a rolling password or ensure that all communications come through a compliance process to ensure that these types of embarrassing situations don’t crop up. A single mishap or disgruntled former employee can cause havoc with a club’s reputation in an instant. 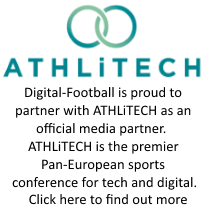 Ensuring that passwords are changed every time staff leave the company and encouraging a vigilant security policy for Social Media are great and easy ways to ensure safety for club, players and brand. Particularly with many clubs using mobile devices to manage their Social Media channels, they need to be extra careful their devices don’t fall into the wrong hands and additional security measures (such as phone PIN codes) are put in place. It’s no wonder we’re starting to see specialised tools like Social Pundit – to help aid, monitor and advise on protecting against Social Media embarrassments.